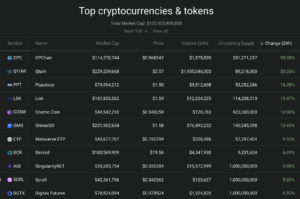 CPChain (CPC) 55%, QTUM 20%, Populous (PPT) 18%, Lisk (LSK) 15%, Cosmo Coin (COSM) 10% and OmiseGO (OMG) 10%. 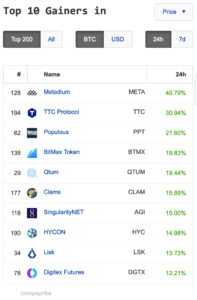 Metadium (META) 40%, TTC Protocol (TTC) Populous (PPT) 21%, MitMax Token (BTMX) 19% QTUM 19%, Clams (CLAM) 15%, SingularityNET (AGI) 15%, HYCON (HYC) 14%, Lisk (LSK) 13% and Digitex Futures (DGTX) 12%. 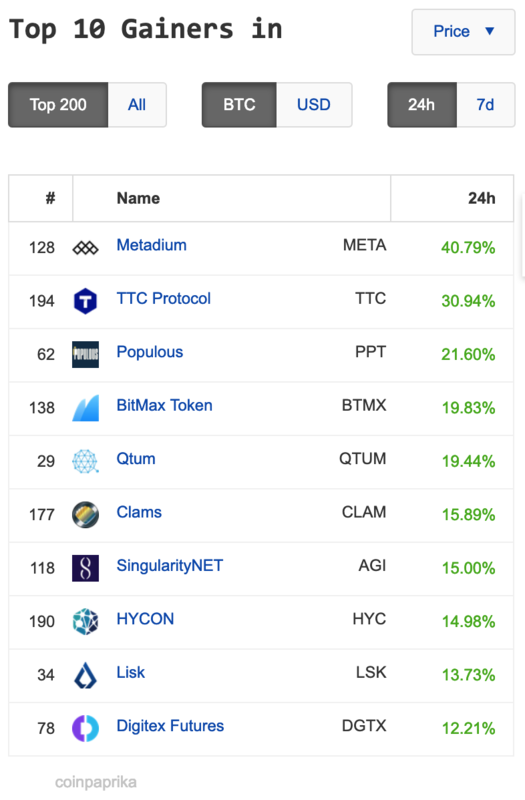 The NewDex.io exchange has CUBE 143% the only triple digit gainer so far today. 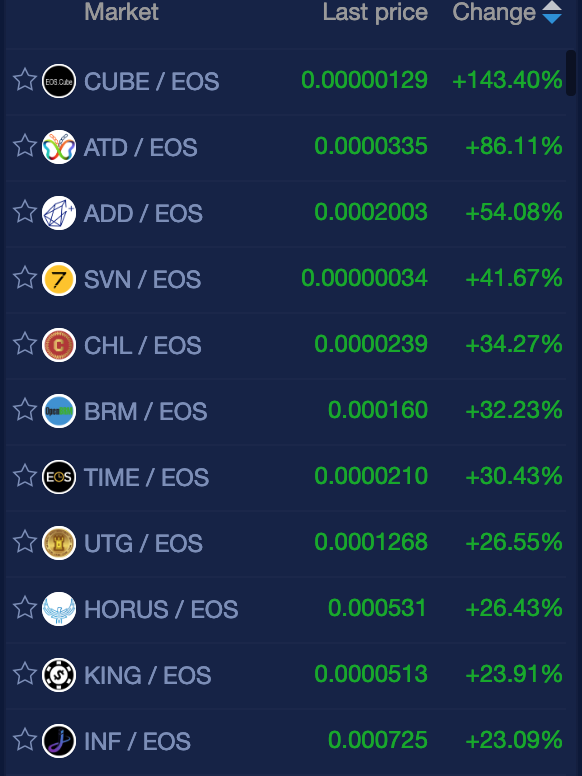 ATD 86%, CHL 34%, BRM 32%, HORUS 26%, INF 23%, PEOS 21%, SEEK 18% and PTI 11%. 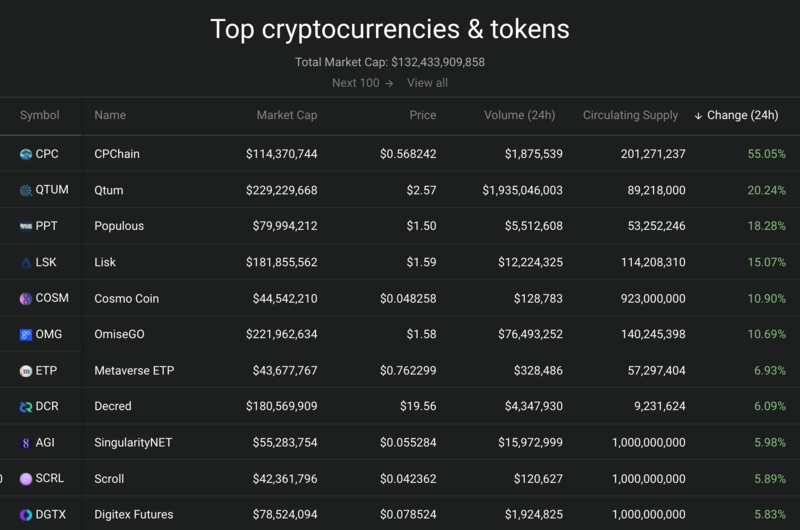 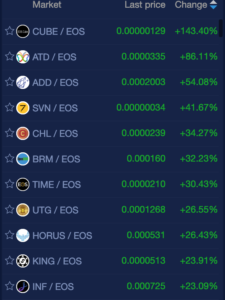 Only coins trading with EOS pairs were in triple digit gains today.